How would you like to come back from a vacation and tell your friends you swam with sharks and rays in the middle of the Pacific Ocean? How about a complimentary one hour drive of BMW Mini Cooper when you go on vacation to Cancun? Or maybe a stay in a villa that is located over water with stairs leading into the ocean where you could choose to swim at night? The suggested packages “with stories to tell” will definitely take the breath away of everyone who listens to your vacation experiences. 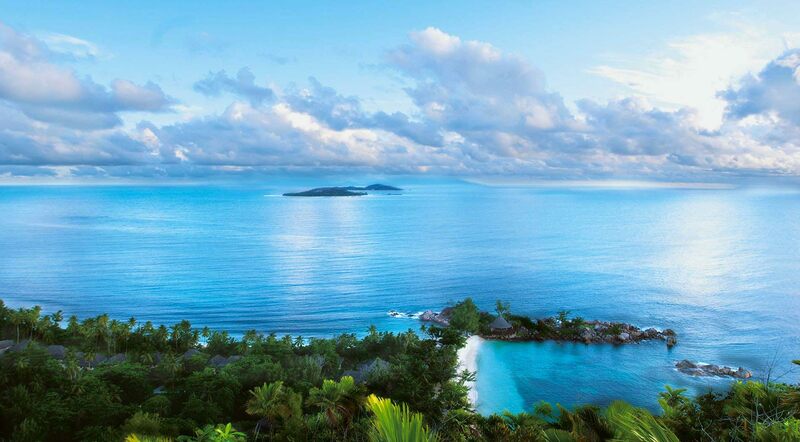 The luxurious destination of Seychelles will fascinate travelers with powder-white sands complemented by smooth grey large rocks and clear waters amongst the utmost exotic vegetation and fauna. The resort features its own 18-hole championship golf course, and is surrounded by luxuriant and rare environment which will make guests feel like they arrived to a different world. One of Sparkling Voyages’ favourite resorts, the InterContinental Bora Bora Resort and Thalasso Spa features some of the most beautiful views of crystal-clear blue waters, an array of cultural and recreational activities, and an outstanding Deep Ocean Spa with the first thalassotherapy centre ever built in the South Pacific. This adults-only resort offers such an immense array of activities and services that guests can stay occupied for weeks, on top of trade nights between THE ROYAL in Cancun and THE ROYAL Playa del Carmen, and dozens of dining options where for the most part no reservations are required. Here, when booking a Royal Ocean Front Suite, guests can use an array of complimentary services and amenities, including one-hour complimentary BMW Mini Cooper test drive.